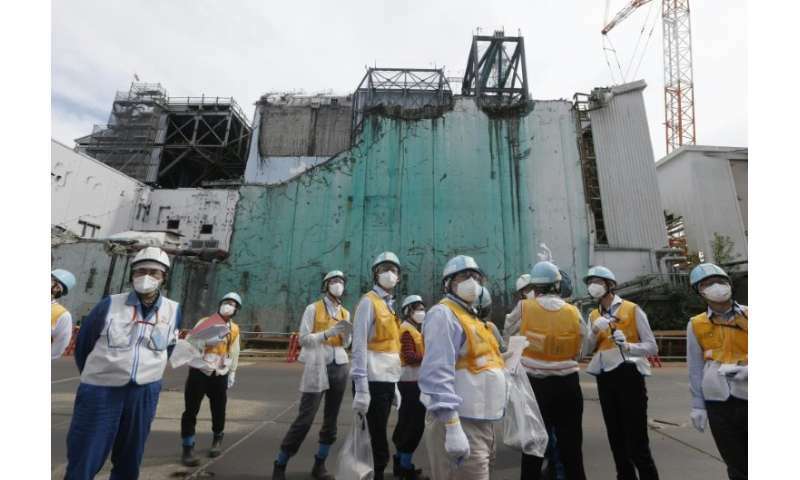 At the Fukushima Daiichi nuclear plant, there's a flashy new administrative building, debris has been moved and covered, and officials tout the "light" radioactive security measures now possible. "You see people moving around on foot, just in their uniforms. 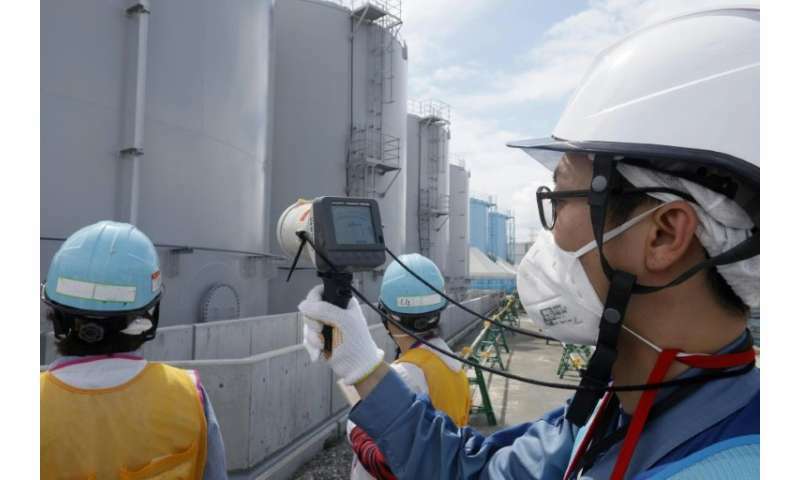 Before that was banned," an official from the plant's operator TEPCO says. "These cherry blossoms bloom in the spring," he adds, gesturing to nearby foliage. If it sounds like a hard sell, that might be because the task of rehabilitating the plant's reputation is justifiably Herculean. 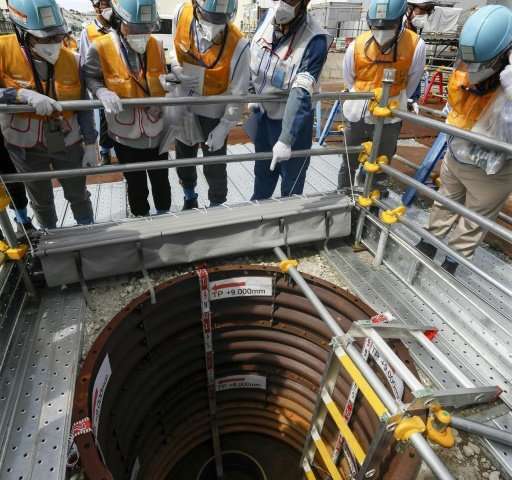 Since May, visitors have been able to move around near the reactors on foot, rather than only in vehicles, and they can wear "very light equipment," insists TEPCO spokesman Kenji Abe. The charm offensive extends beyond the plant, with TEPCO in July resuming television and billboard adverts for the first time since 2011, featuring a rabbit mascot with electrical bolt whiskers called "Tepcon". It has installed an "icewall" that extends deep into the ground around the plant in a bid to prevent groundwater seeping in and becoming decontaminated, or radioactive water from inside flowing out to the sea. "There was the Chernobyl accident, but they didn't remove the debris," said Katsuyoshi Oyama, who holds the title of TEPCO's "risk communicator". "So for what we have to do here, there is no reference." "the worst nuclear meltdown in decades"
Zero deaths from radiation exposure, while air pollution from fossil fuels(backup for intermittent renewables) respects no border and kills millions of people every year. "a massive earthquake triggered a devastating tsunami that killed thousands and prompted the meltdown of several reactors." Anti-nuclear faux-greens fearmongers, in the pocket of fossil fuel interests, are always trying to put into account of carbon-free nuclear the deaths caused by the Tsunami. During a flight, people receive more radiation(up to 65mSv) than visiting Chernobyl(5mSv) or Fukushima(20mSv). Here, we are closing nuke after nuke. California, which leads the way to the future, is closing its last two units soon. We do not need nuclear power with all its problems. My house and horsepower come from my solar PV system. Fukushima: 340–800 PBq, with 80% falling into the Pacific Ocean. Chernobyl: 5,200 PBq falling all over Europe. The comparison they're making is like calling a car crash the next worst accident since a train pileup. Here, we are closing nuke after nuke. California, which leads the way to the future, is closing its last two units soon. We do not need nuclear power with all its problems. My house and horsepower come from my solar PV system. Here, we are closing nuke after nuke. California, which leads the way to the future, is closing its last two units soon. It will be replaced by gas/fracking "greenwashed" by intermittent renewables. NASA scientists pointed out a problem(greenhouse gases) and gave the solution(carbon-free nuclear power) but the Eco-nuts came up with sunshine&breeze alternative energy which academic alarmists & mainstream mass media(in the pocket of fossil fuel interests) gave full support. "If de-carbonizing energy production is the greatest challenge to humanity, nuclear...will be a major part of the solution." Argue all you want: Nukes are losing. We cannot afford their costs and their failures. Meanwhile, our PV solar system has paid for itself, and now our power is free. That makes a big difference since we drive electrically. If it were possible to convert the greenies' lies into electricity, it could power the whole world uninterruptedly 24/7/365 forever. 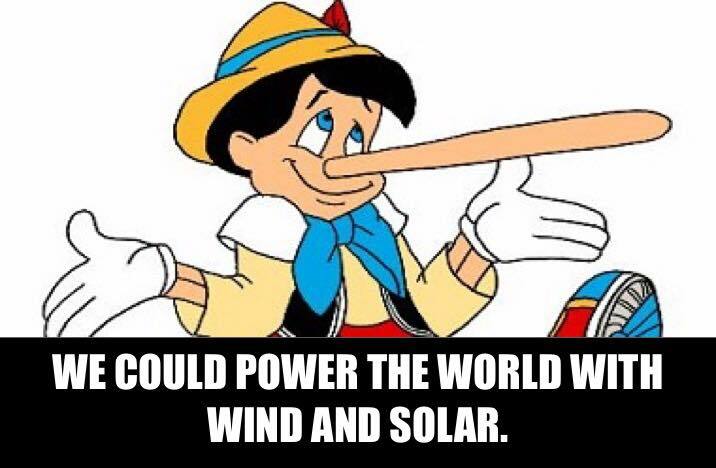 UNRELIABLES - Wind & Solar 'power' - are NOT "Clean, Green" nor "Renewable"! you've had it for 20 years or more? Did you pay for the system up front or enter one of those programs where they install it and give you a piece of the pie? "you've had it for 20 years or more?" No, it paid off in 3-4 years, because of the savings in transportation with two electric vehicles. Most of electricity to recharge the electric vehicles come from the fossil-fueled grid. Solar panels are subsidized placebos. That's not exactly making sense. I've had companies come in and do estimates. Even with 3/4's (48k if I bought it outright) of my house covered they couldn't get that kind of payback, regardless of lease or own configuration. I told you it is because of gasoline replacement using electric vehicles. Just replacing household power is not sufficient to get a short payback.